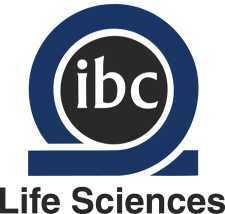 WESTBOROUGH, MA--(Marketwire - October 1, 2007) - Today IBC Life Sciences kicks off its annual BioProcess International™ Conference & Exhibition in Boston, Massachusetts. 1,500 pharmaceutical, biotechnology, government and academic researchers, executives and technology providers are expected to attend. This year the event features six keynote presenters who will deliver a range of perspectives on regulatory changes and what the industry can expect, strategies for efficient use of manufacturing capacity and projections for advances in upstream processing. Keynote presenters include senior executives from the Food & Drug Administration, Biogen Idec, Bristol-Myers Squibb, Genetech, Inc., Merck Research Laboratories and Wyeth Pharmaceuticals. The conference program runs October 1-4 and is divided into 4 conference tracks: production & economics of biopharmaceuticals, scaling up from bench through commercialization, cell culture & upstream processing and recovery & purification. The exhibit hall is open October 1-3, with over 130 bioprocessing technology exhibitors. The exhibition opens Monday evening at 5:30 pm, with a welcome reception sponsored by SAFC BioSciences. Hall hours are Monday, October 1, from 5:30 pm to 7:00 pm; Tuesday, October 2, from 9:45 am to 7:00 pm, and Wednesday, October 3 from 9:45 am to 4:00 pm. Four bioprocessing manufacturing leaders are offering site tours to their local manufacturing facilities throughout the week. Site tours include: Applied Biosystems, Biogen Idec, GE Healthcare, and Percivia. The event will take place at the Hynes Convention Center on October 1-4, 2007. For complete program details visit www.IBCLifeSciences.com/BPI/US. IBC Life Sciences is the worldwide leader in scientific, technological and business conferences and courses for the life science industry. To develop its programs, IBC actively researches the advancements, technologies and trends impacting and driving the race for new drugs and therapies. No other organization can make claim to the breadth and quality that IBC Life Sciences delivers in each event giving the company recognition around the globe for quality, service and value. For more information, visit: http://www.IBCLifeSciences.com.